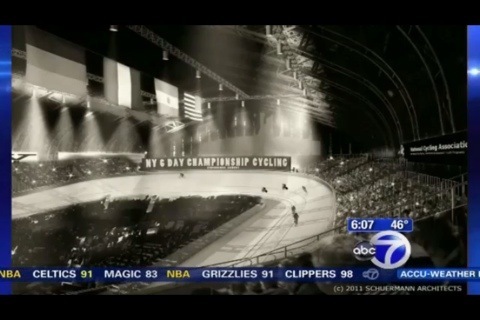 ABC News story on proposals for the Kingsbridge Armory including a new Velodrome. NEW YORK (WABC) — Military use of the Bronx Kingsbridge Armory ended in 1996, and since then, it has sat vacant. A plan to convert it to a retail mall was rejected a few years ago, but now, the city has re-opened the proposals. The armory was built in 1910 with an interior so large, you could fire a cannon at one end and not hit the other end. It’s that kind of size that is both a positive and a negative when it comes to finding a company or an organization to take it over. 1 comment to Velodrome in the Bronx?